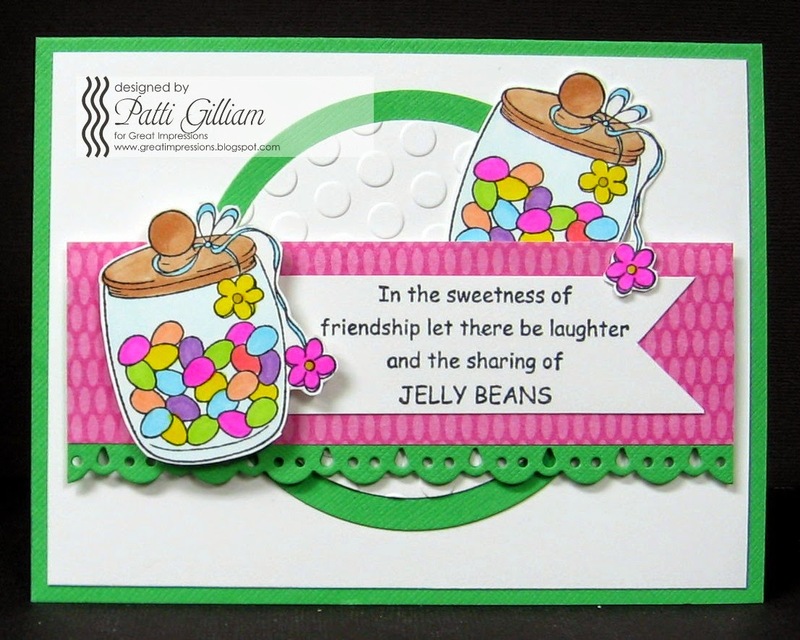 Friendship, Jelly Beans, and Great Impressions! 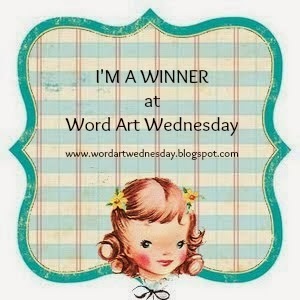 It's Saturday, and my day to post at the Great Impressions Stamps blog. with the pink, green, and white color scheme. 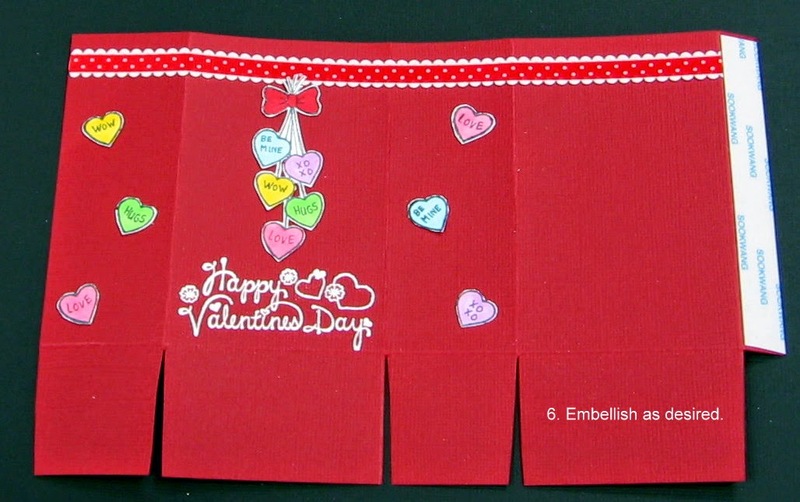 Just popping in to let you know that I have a project up on the CardMaker blog today. My assignment for today was to create an Outside the Box card. find something we like, and re-make it, using current supplies. 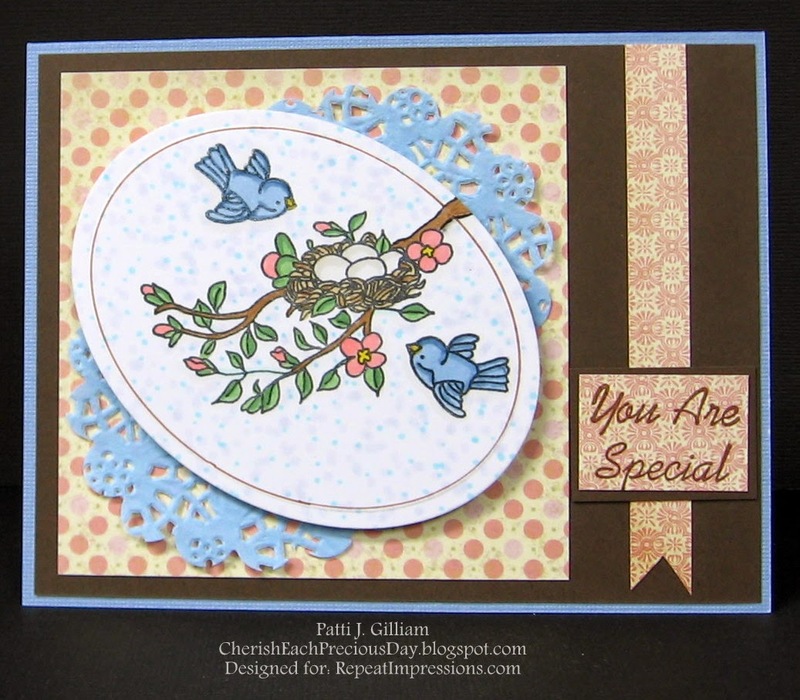 I had fun with a wonderful card by Jeanne Streiff, that was published in the October 2012 issue. 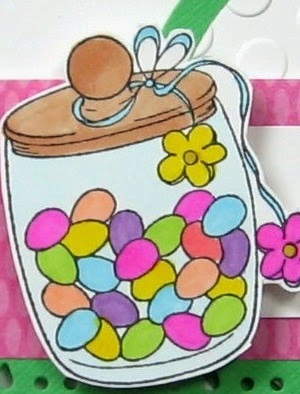 Hope you'll drop by the CardMaker blog today, and check it out! You really want to go look now...I know you do!!! I'm here today with my post for Die-Versions. is now carrying. I'm looking forward to seeing the next release, aren't you? Die-Versions Cat's Meow Dies DV-9014. even with the tiny string detail on the ball of yarn. The die cuts just pop right out! This sweet paper pad, a Colorbok pad from Walmart, seemed perfect for this card. Sort of matches the ball of yarn, don't you think? and all coloring was done with Copics. Some pretty twine completed the focal panel. 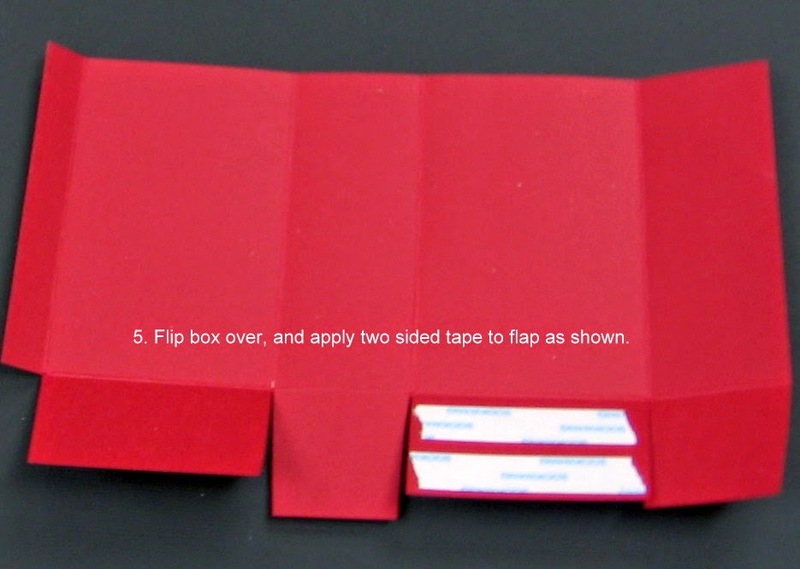 Card base is A2 and is made with Kraft cardstock. The kitty is popped up with some foam squares, and looks so sweet in real life! And, while you are out and about, be sure to check out the Die-Versions store! There's a new sketch challenge up today at the Repeat Impressions blog, The House that Stamps Built. Wendy, the RI owner, is honestly the Queen of sketches! Now, you all know what a rebel I am. Rarely do I use a sketch 'as is'. 2617-D Tiny Bird (flight), and '8608-D Special'. A very sweet blogging friend, Taunya, sent me some beautiful doilies a few weeks ago. Wondering what would happen if the shape were changed, I ran this one through my Cuttlebug, using the same oval die as the focal image. End result? I like it!!! How about you? If you'd like to own these, or other beautiful RI stamps, hurry over and check out the Repeat Impressions store! Be sure to use the coupon on my sidebar to save 10% on each and every order! 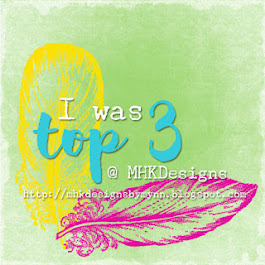 for sentiment matting (see my sidebar to find out how you can get a free cutting mat)! Good morning! I hope that your Wednesday is off to a great start. Today, our challenge at The House that Stamps Built, is an inspirational photo. 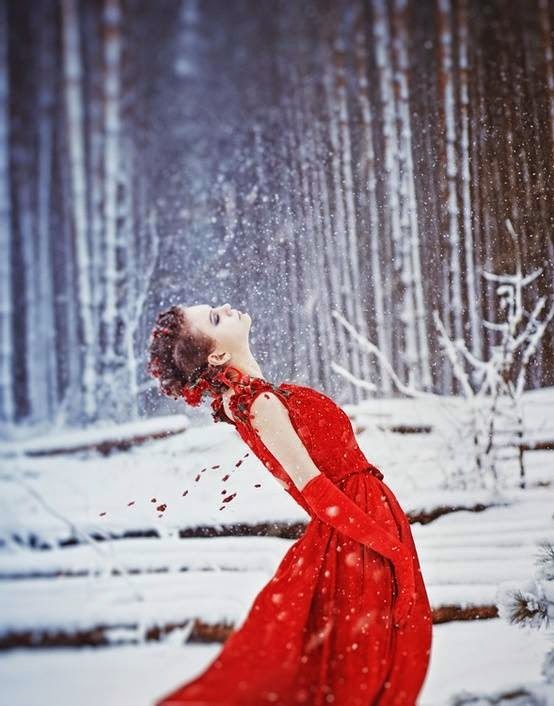 Of course, the beautiful red called out to me, as did the beautiful snowy background. The card base was created, set aside, and the focal panel was started. The fan image, and sentiment were stamped on a 4" x 5.25" white panel, in black ink. 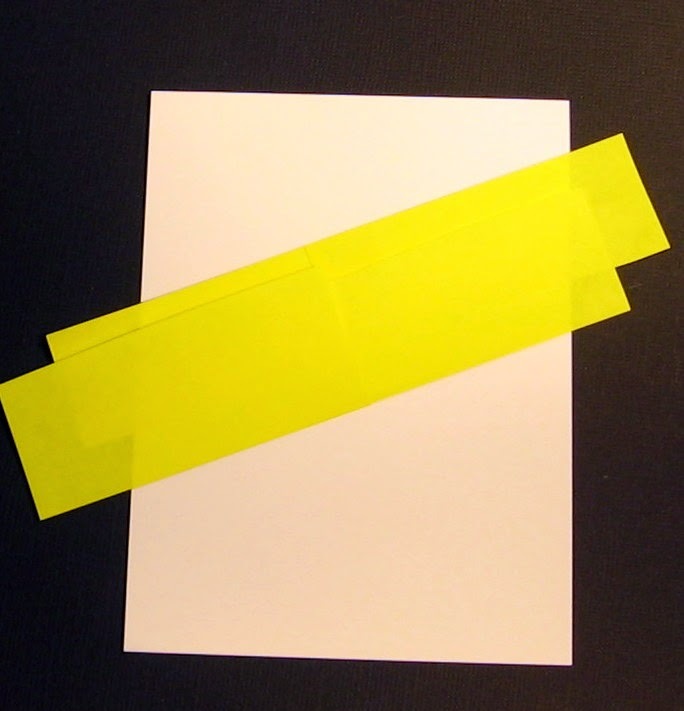 The fan was stamped again on a post it, and fussy cut, creating a mask. Then, the image was colored, using Copic markers in red, green, and flesh colors. I had a stencil from Hobby Lobby that had never been used, that seemed perfect for the background. The panel and stencil were taped down with removable tape. A stipple brush, and inks, in shades of blue and gray, were used to create the background. After the stippling was finished, the mask was removed. 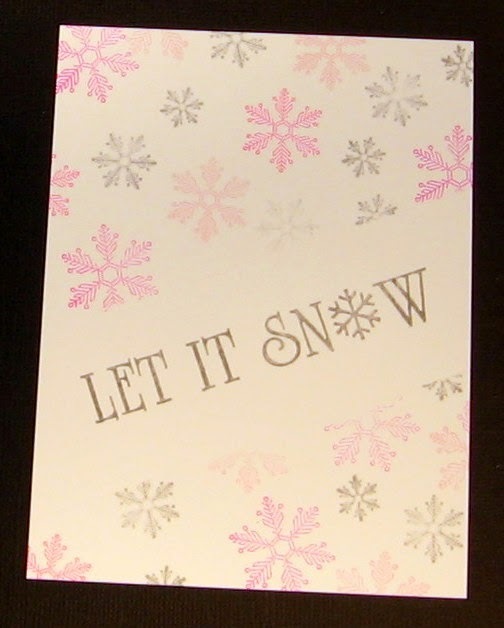 Versamark ink was placed over the entire panel, and clear embossing powder sprinkled on. The panel was heat embossed with the clear powder twice, for a glassy, icy appearance. The focal panel was attached to card front, and voila! Photo inspiration was a success!!! We'd love to see YOUR creation in this challenge! could be the winner of some Repeat Impressions goodness!!! Of course, if you are excited about doing some shopping at Repeat Impressions, be sure to use the code on my sidebar - you will save 10% on every order! photo for inspiration. I've seen them, and they are all so unique, and beautiful!!! 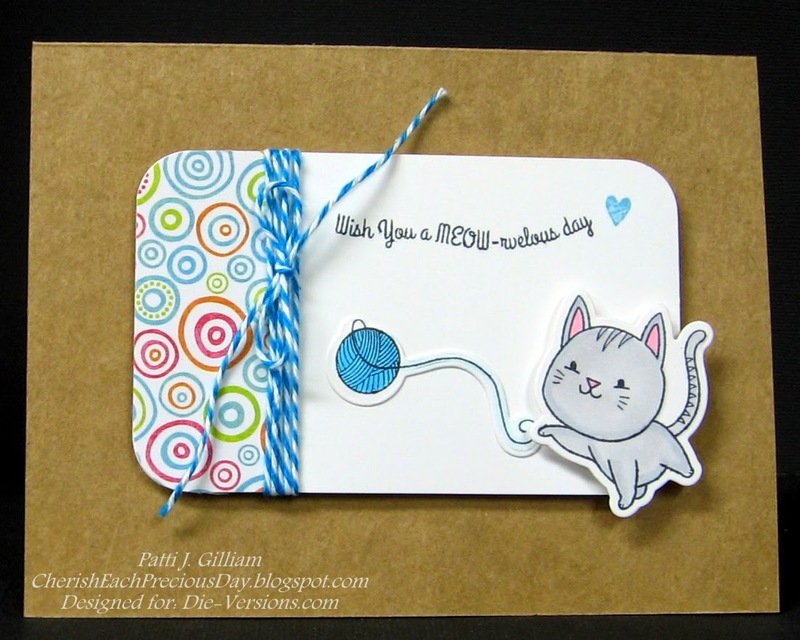 It's my day to post on the Die-Versions blog, and I have a sweet card to share. 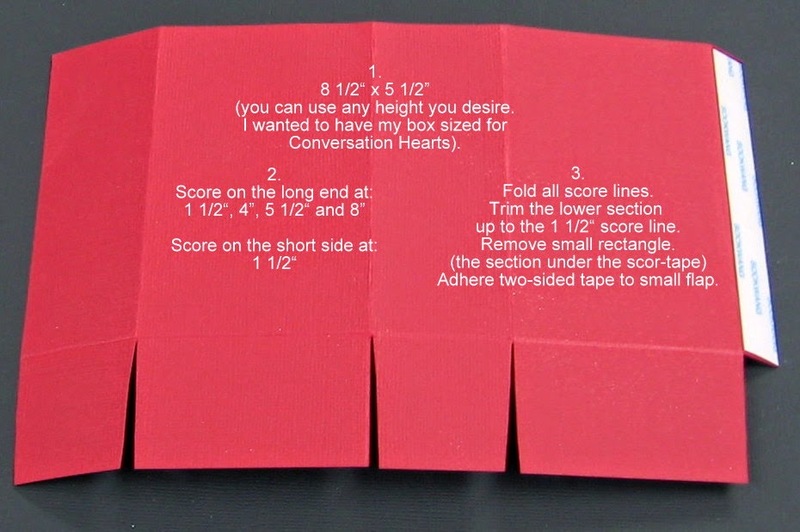 I don't know if you are aware, but Die-Versions is now carrying stamp sets with coordinating dies! How incredibly awesome is that? Today's card features one of those sets. 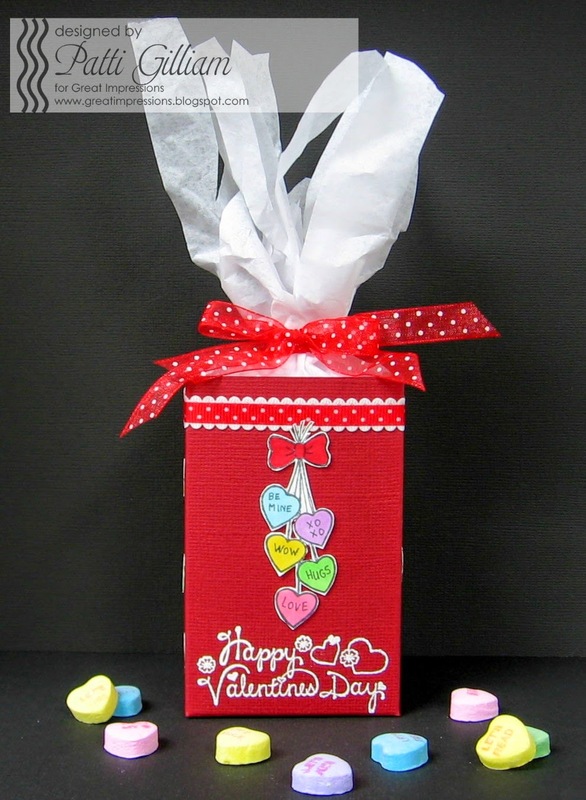 The stamps and dies are from the Die-Versions collection, 'Love In The Air' DV-9016 . The stamp set contains TWENTY stamps, and the die set has 16 coordinating dies! You can see how nicely the dies cut on this card. I hope this little couple gave you a smile today - they were so much fun to color! 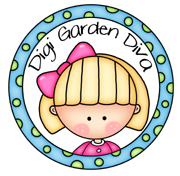 Thanks for stopping by - be sure to check out the website, for these and other fabulous Die-Version dies, and while you are out and about, check out the DV blog! There is daily inspiration to be found there - hope you'll sign up to follow us! to enter the monthly challenge 'Snow Friends', HERE - can't wait to see your creations! I'm here a day late with my Designer's Choice Challenge card for The House that Stamps Built. This week, we've been challenged by our fellow Rock Star, Deonna, to create a monochromatic card, using the colors brown, black, and white. 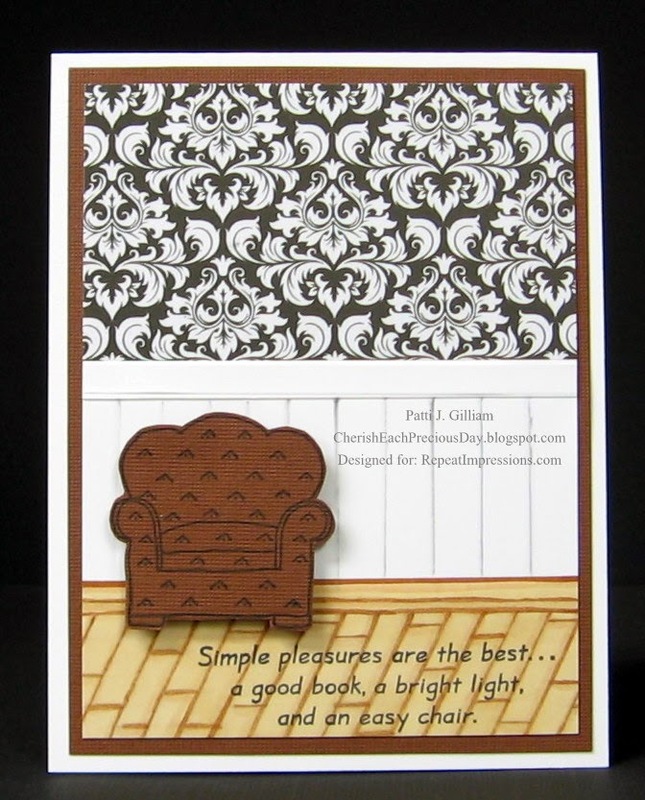 I stamped the Repeat Impressions 2628-H Comfy Chair, on brown cardstock, with black ink, and fussy cut it. 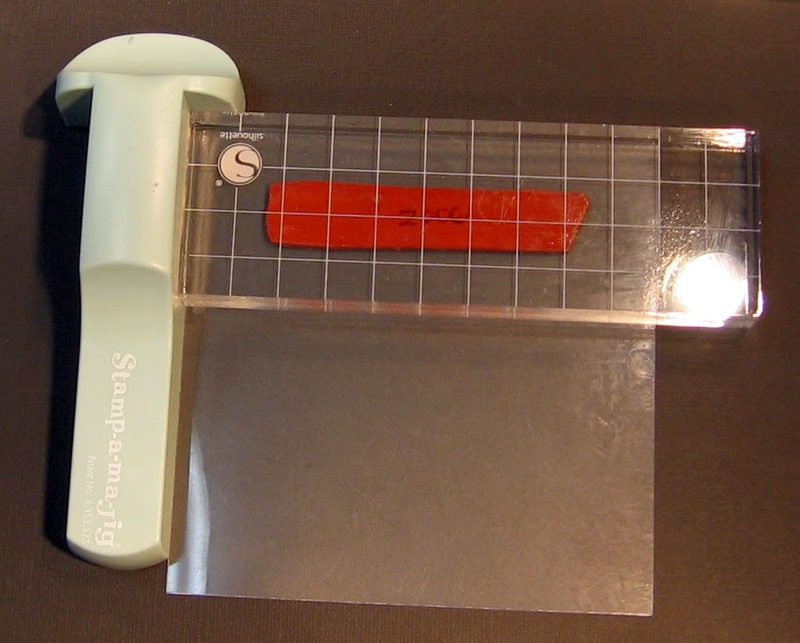 A focal panel was cut to 3.75" x 5". 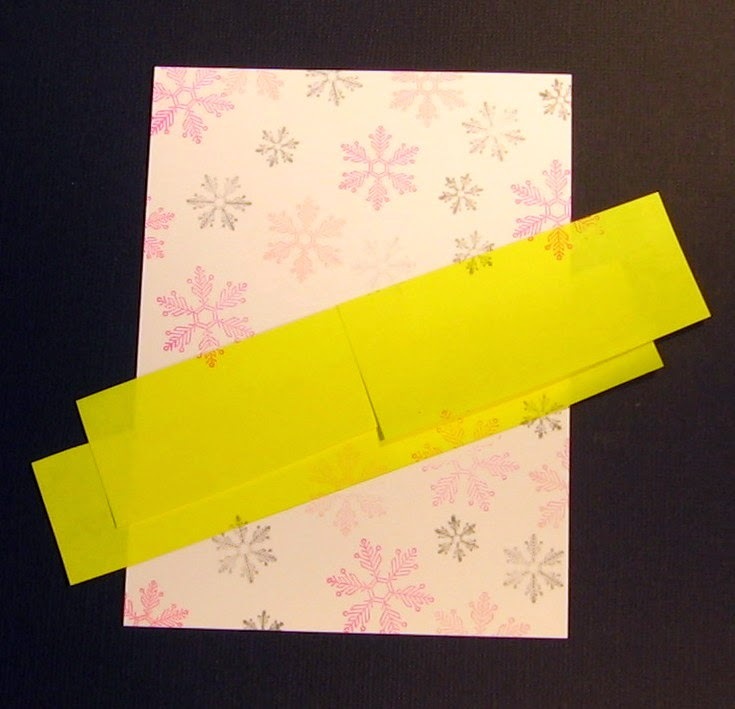 A piece of patterned paper was added to the top, for a 'wallpaper' effect. I drew in some hardwood floor, and some wainscoating, with a pencil, and completed them with Copic markers. A 1/4" stip of white cardstock formed the 'chair rail', and the sentiment, Repeat Impressions 410-H Simple Pleasures, was stamped at the bottom edge. The chair was popped up with dimensional foam. It's perfect, the way the room lighing behind the camera created the shadow behind the chair! The panel was matted with brown cardstock, and adhered to the card base. Hope you like this quick and easy creation! Be sure to check out my fellow Rock Stars' creations this week! We'd love to have you play along with Deonna's challenge! Head over to The House that Stamps Built for all of the details. Wendy will give away an awesome prize to a luck winner! Check out my sidebar, to see how you can save 10% on your Repeat Impressions order! 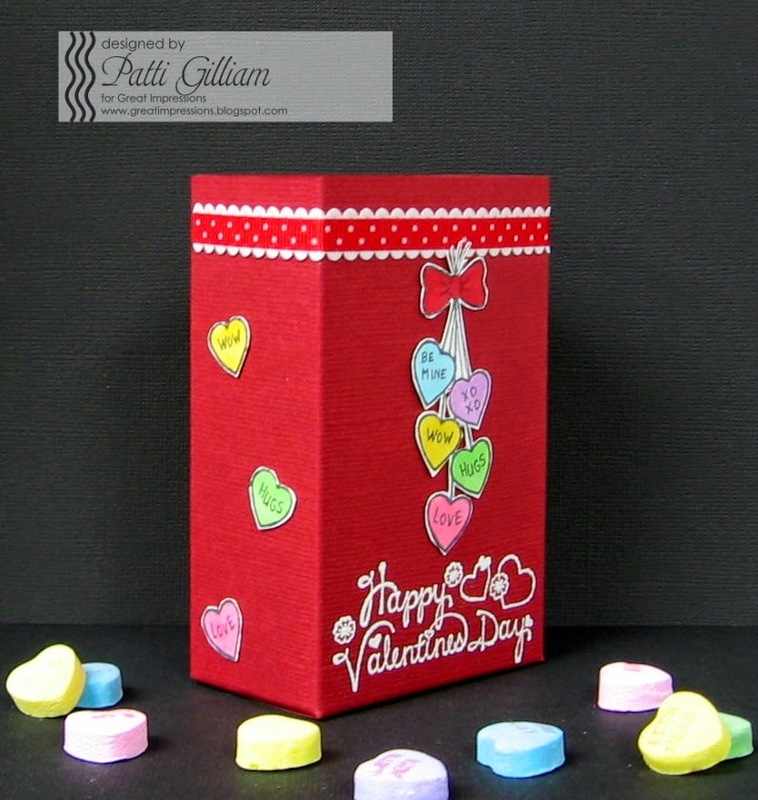 on the CardMaker Blog. My assignment for the day was 'U Inspire Me'. For this assignment, we find something that inspires us, and use it to spark our creativity. My inspiration today came from something I saw while wasting time, browsing Pinterest. for any occasion! 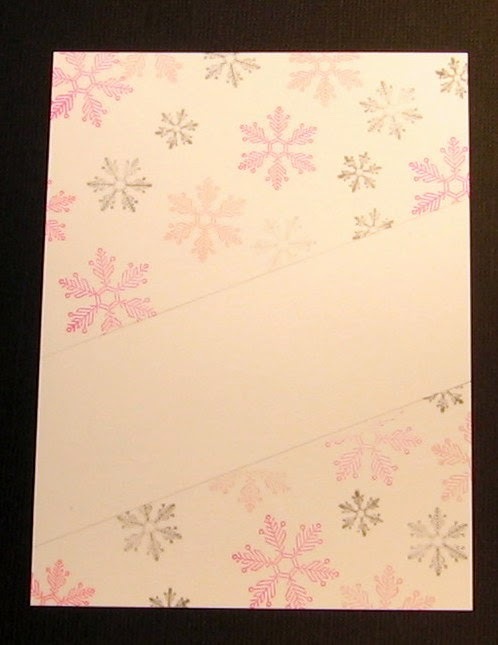 Since it's still winter, and we're expecting sleet and snow this weekend, I decided to use the Repeat Impressions 'Let it Snow' 2006-H, and 'Snowflakes' 8805-K.
and lightly draw a pencil line on each side of your straight edge. being sure to overlap your mask now and then. 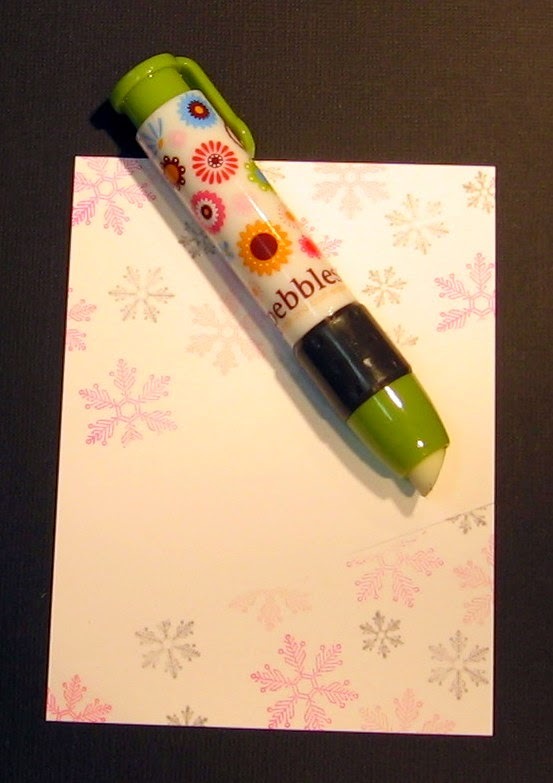 Gently erase your pencil lines, once your ink is dry. 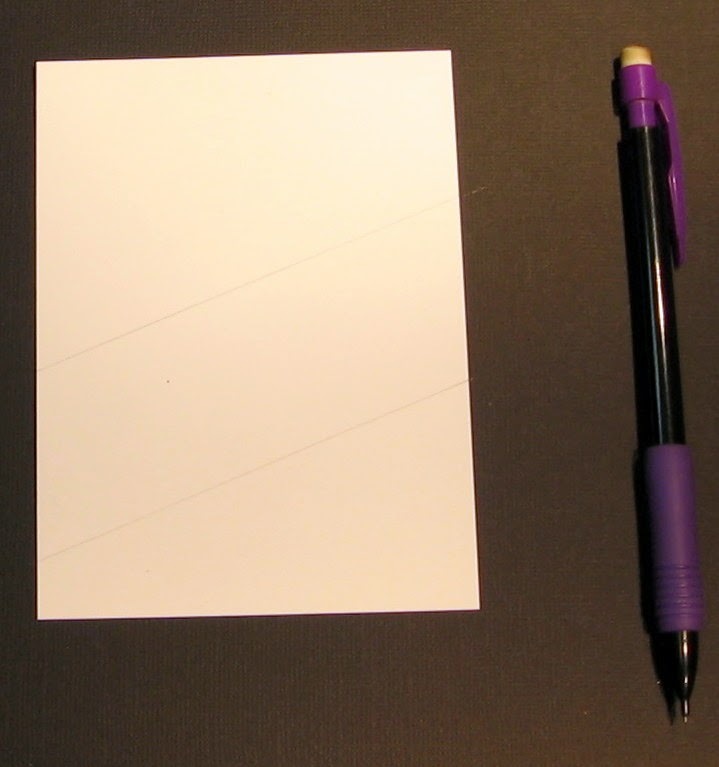 white space on the card panel with gray ink. moved it a bit to the left, and stamped again, using pink ink. Much better, right??? 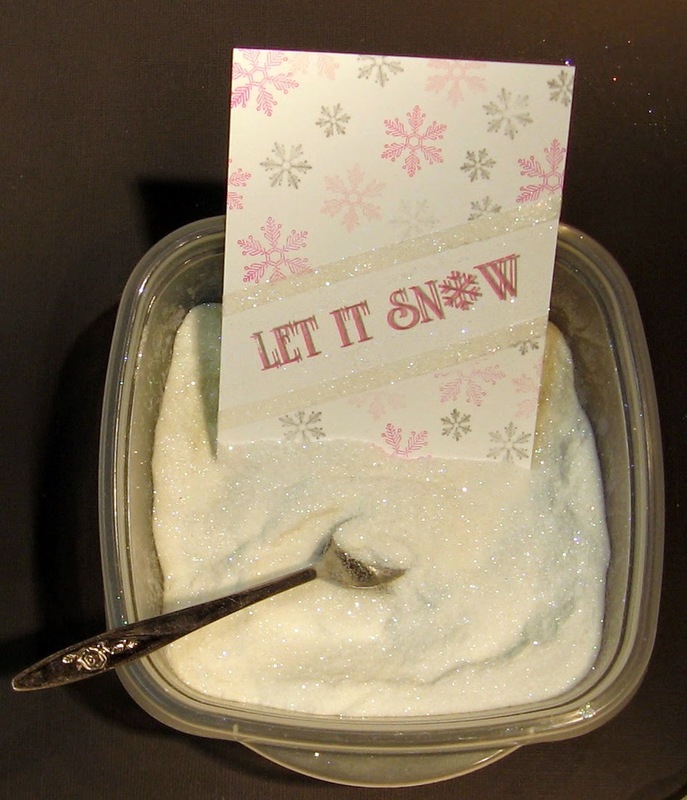 sprinkled with beautiful, sparkly, snowy, glitter! and mounted that on a gray card base. So, what do you think? 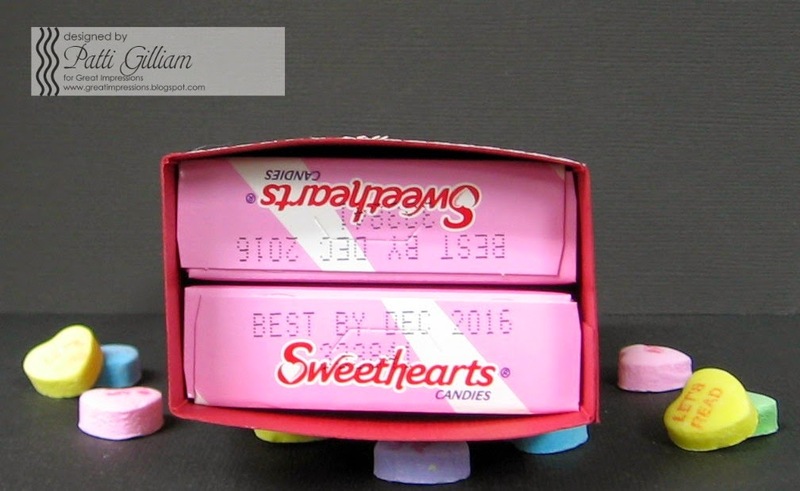 Imagine wee bugs, with a fun sentiment, or flowers, with a birthday sentiment - you can see that the possibilities are endless! Hope you'll follow us at The House that Stamps Built for loads of inspiration, and fun challenges! 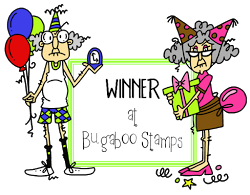 There's always a chance to win some wonderful Repeat Impressions stamps! 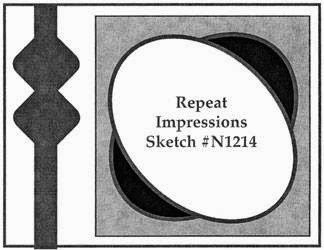 how you can save some money on your next order at Repeat Impressions! Hope you'll follow the Great Impressions blog, for daily inspiration! We are changing things up at bit at the Repeat Impressions' Blog, The House that Stamps Built! 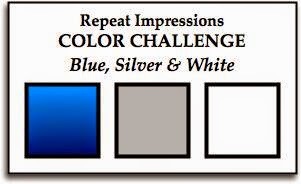 For my card today, I chose a fun shade of blue! The stamp that I used is Repeat Impressions' 2001-M, Peaceful Observation. 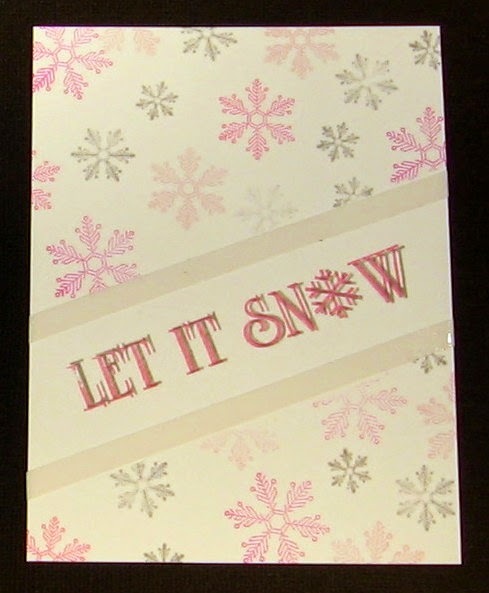 I stamped image on both blue, and white cardstock with VersaMark ink, then heat embossed with silver embossing powder. 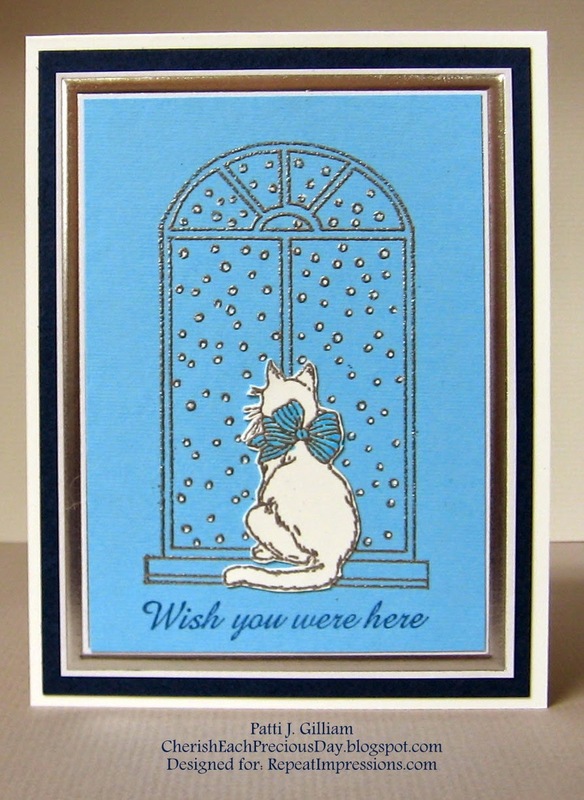 The cat was fussy cut from the white cardstock, and adhered onto the blue cardstock. The blue panel was trimmed to fit inside the silver frame on a thank you note that we'd received a few days ago. The blue panel was adhered to white, then black cardstock, (mats were created with my Perfect Papercrafting mini rulers - see sidebar for details) and then to card front. 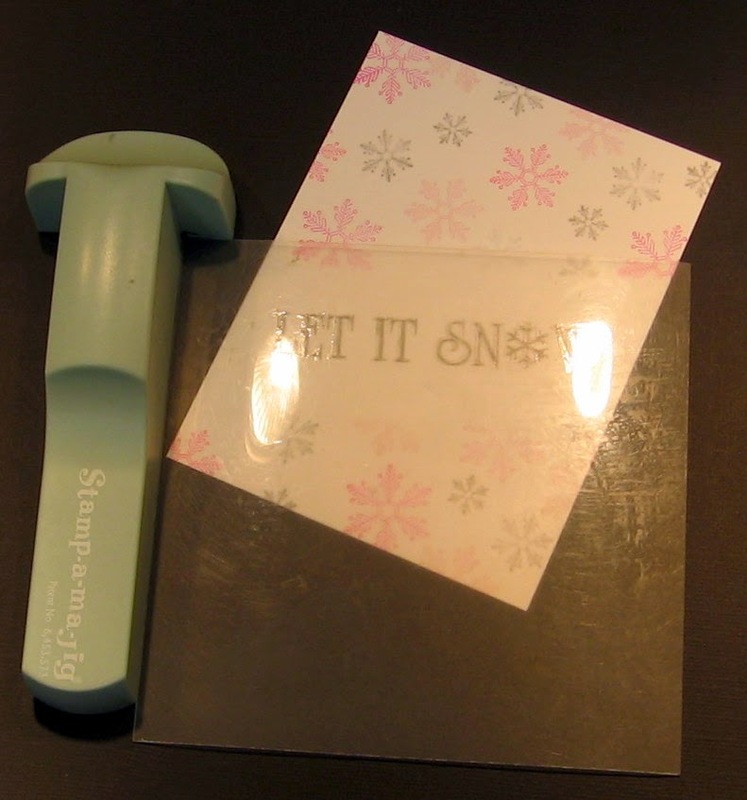 Dotted the snowflakes with white chalkboard marker to add a bit of dimension. 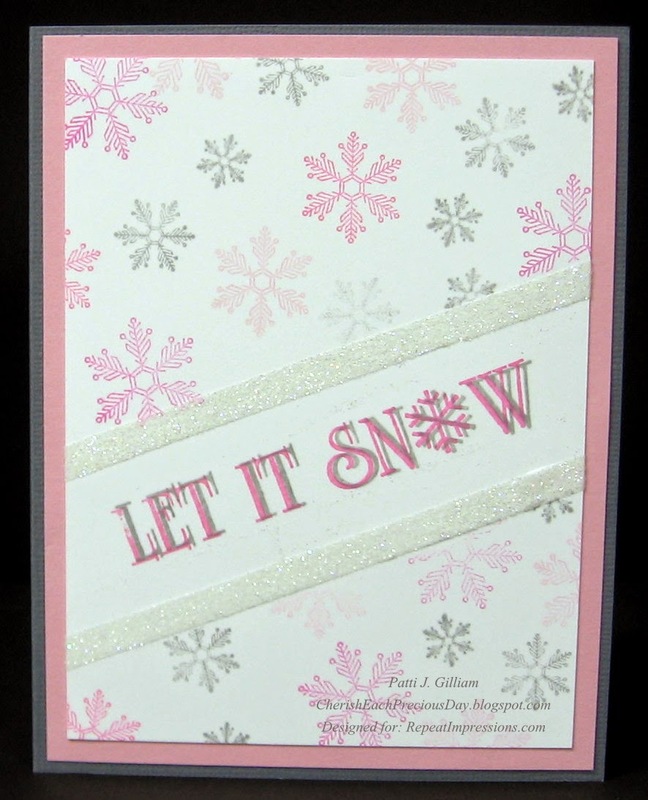 My fellow Rock Stars have created some beautiful cards with this color combination - check them out!!! Be sure to stop by The House that Stamps Built, and sign up to follow for lots of inspiration! You can shop for some great Repeat Impressions products HERE, and check out my sidebar to see how you can save money on your order! Hope to see YOUR creation in the challenge this week at The House That Stamps Built! but if you would like to include them, we would reeeally love to see them! So excited to pop in with a huge announcement! 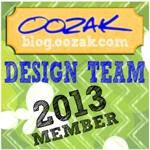 CardMaker Magazine has invited me to be a part of their Blog Team for a six month term, beginning this month. After I stopped squealing, jumping up and down, and happy dancing, I calmly (not really) sat down and replied YES!!! 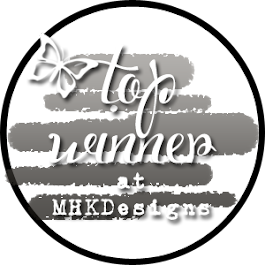 Check out the blog post at CardMaker - I'll be working with some very talented team members, and I'm looking forward to seeing their beautiful creations! 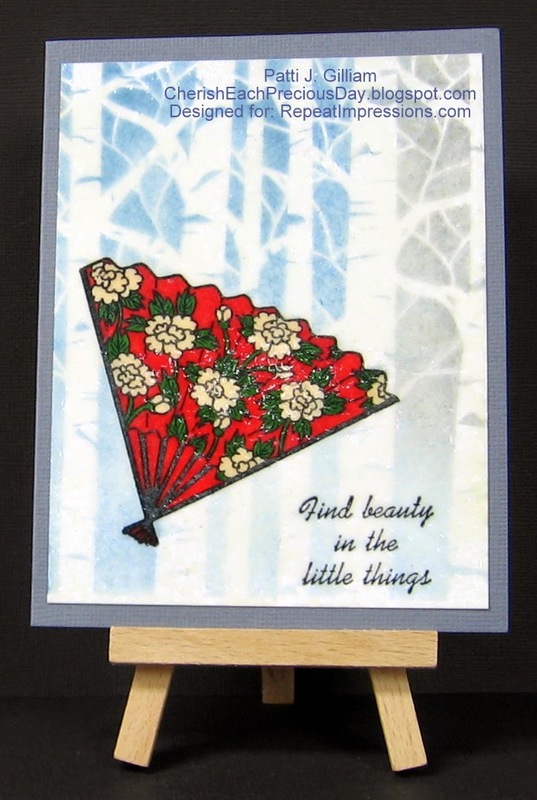 This month's challenge at Great Impressions is Winter Friends! 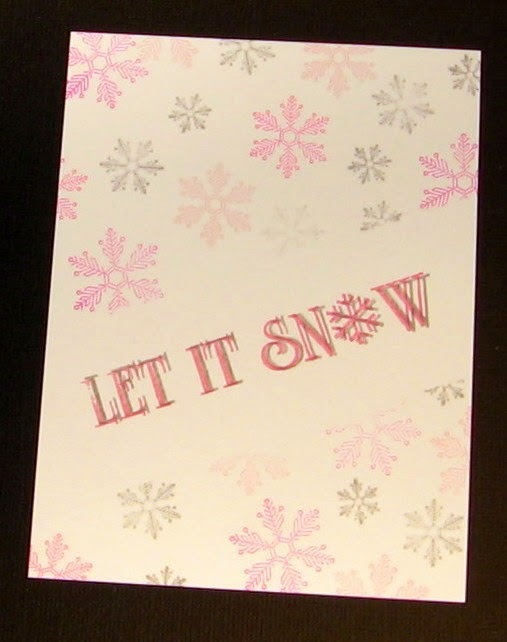 For my card I chose to use LEK101 Snow Buddy. It's a limited edition set that contains three stamps, and everything you need to create two complete cards! I love this set! The coloring is done with Copic Markers, and the white 'snow' you see is created with a chalkboard marker. Tombow adhesives were used, and some dimensional foam from Hobby Lobby. The hearts were die cut from an A Muse set, and lightly brushed with a glitter pen. 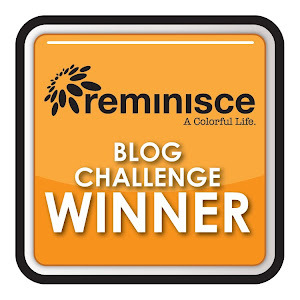 I'd love to see you join us in this month's challenge (here!) and if you use any GI stamps be sure to link up to the customer gallery (here!). Be sure to stop by the Great Impressions store (here!) and maybe treat yourself to a few new images...did you know shipping is free over $25?! Thanks for stopping by, and Happy Stamping!!! I've been so eager to share some news with all of you! This is my first post as a Design Team member for Great Impressions Stamps! I've been stamping with GI stamps for many years - they were among the first I owned! I'll be posting a new GI post each Saturday - hope you will drop by and visit! I've had this sweet image for a long time, and have used it often. Yesterday, while debating on what to create, I decided to go with something 'thankful' for an after-Christmas greeting. I used F08 Dress-Up Annie, and B193 So Thankful for You. The image and sentiment were stamped where I imagined a floor and wall to be. 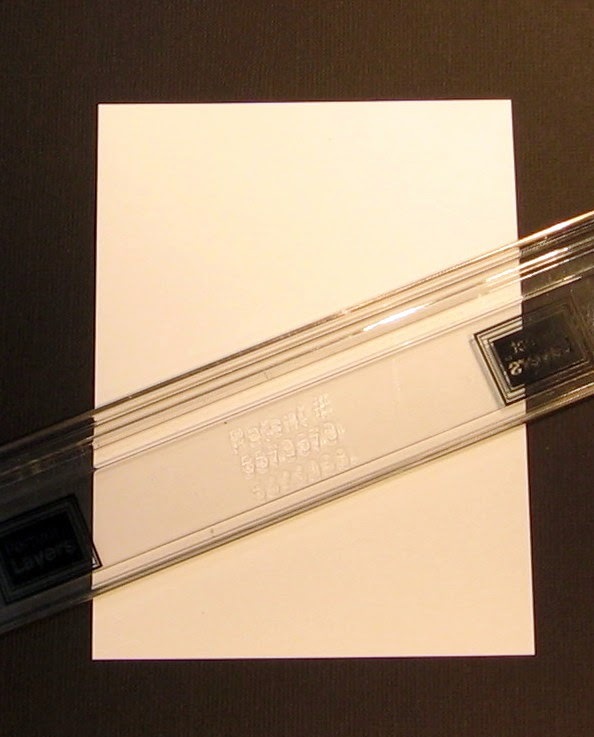 After stamping the image, the 'floor', 'baseboard', and 'photo frame', were drawn lightly in pencil. All coloring on the focal panel was done prior to finishing the image. The image was stamped on blue, tan, and white, colored, fussy cut, and adhered to image - lots of paper piecing took place. Voila! A one-layer card was born, that has a fun dimensional look. Be sure to check out the Great Impressions Blog, for daily inspiration from the GI team! Be sure to enter our January Challenge - it will begin tomorrow! 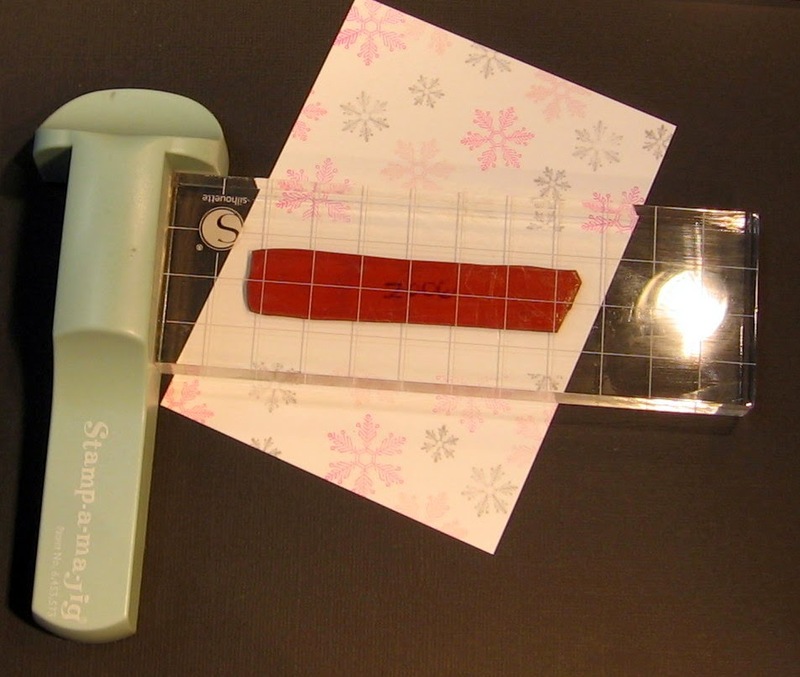 If you create with any Great Impressions stamps, be sure to link up in the Customer Gallery! Check out the Great Impressions Store for some wonderful crafty goodness - and did you know that shipping is free if you spend more than $25.00???? Latisha Yost began this winter giveaway as a way of thanking her loyal friends, readers, and followers. 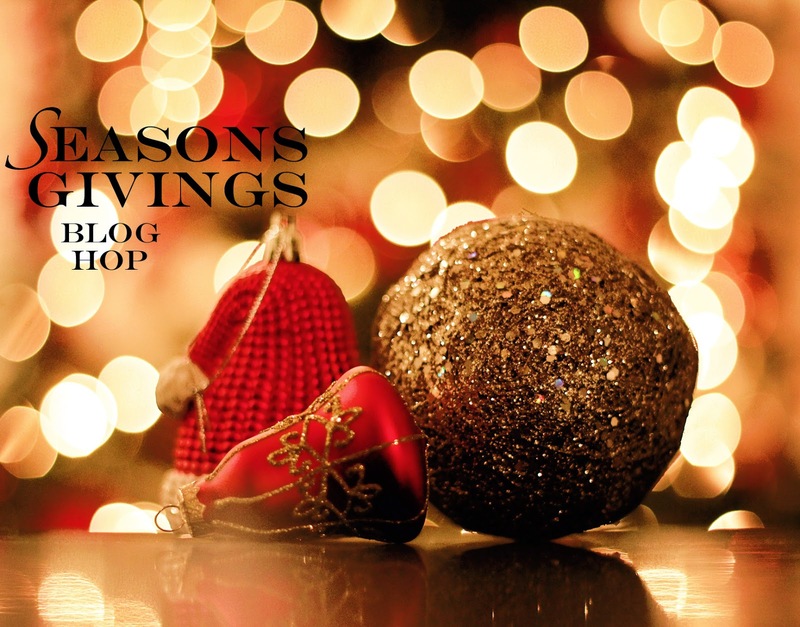 This is the third year for Latisha's Season's Giving hop! Die-Versions is thrilled to be participating in this hop today! as well as a complete list of participating blogs.